CELLO CASES - MODEL "VIGO"
Light case for cello made of specially hardened foam. It has good isolating properties – protection from extreme temperatures, shocks and mechanical damage. Durable and practical, equiped with hygrometer and humidifier, thanks to what it is possible to take care of good storage conditions. We recommend it for cellists who want to take care of their valuable instrument seriously. Outside of the cello case there is extensive pocket for music sheets. Another thing that differs it from the others is the six-point backpack fixing system. That makes it more stabile and seem to be lighter. 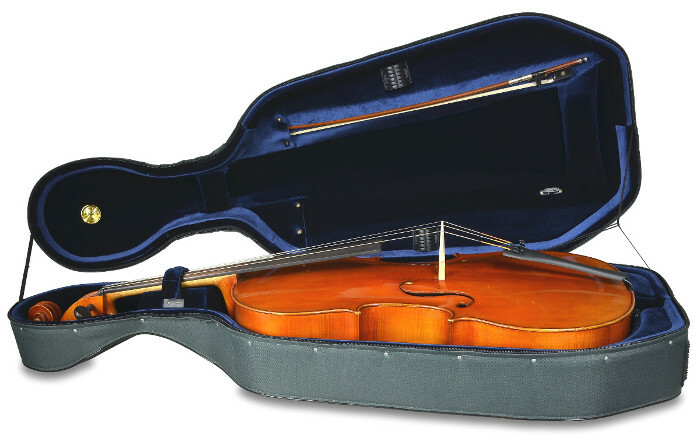 This cello case is recomended for students and also professional musicians.